It doesn’t get better than cheap tickets and cheerful jackpots! 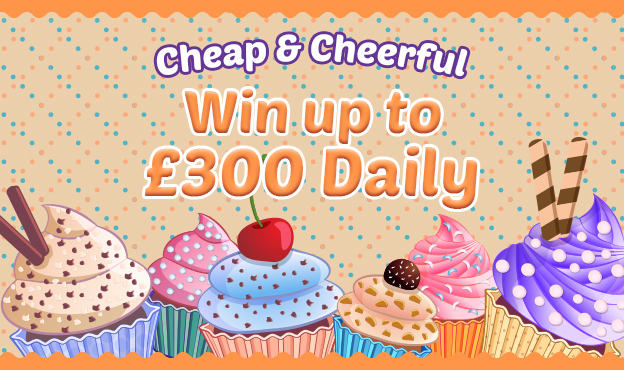 We’ve got 6 Cheap & Cheerful games a day from 10am – 8pm, with tickets starting from as little as 3p and jackpots going all the way up to £300. What are you waiting for?! Look for the Cheap & Cheerful tab in the lobby and we’ll see you there!